Kanayama station is one of the most important railway stations of the city of Nagoya, an interchange station between the JR, Meitetsu Railways and subway lines. A few kilometers south of Kanayama is also the area of Atsuta, site of an important Shinto shrine. The area around the station Kanayama is very busy because of the importance of the station, and there are several hotels, karaoke, izakaya and restaurants, but nothing special for which it is worth a visit. In front of the north exit of the station there is the Asunal Center, a strange building with shops and restaurants, placed in a circle around an outdoor plaza where often perform for free some music bands. This place is very popular as a meeting place for the city's youth. 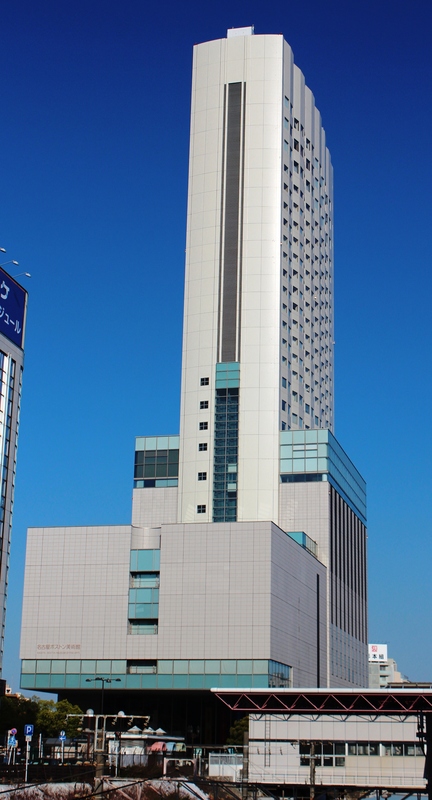 In front of the southern exit of the station there is a 31-storey skyscraper (Kanayama-Minami Building), inside which there is a hotel (ANA Crowne Plaza Grand Court), the Nagoya Boston Museum and the Nagoya Urban Institute. This museum is a kind of minor branch of the famous MFA of Boston, in the United States. The museum covers the first three floors at the base of the skyscraper that houses the hotel ANA Crowne Plaza. Its permanent collection consists mainly of Japanese works, and of Europeans Impressionist as regarding the non-Japanese art. There are also temporary exhibitions of major works that come from the main museum in Boston. Located between the 11th and 14th floors of the skyscraper. The 11th floor is open to the public and exhibits a number of plans, projects and photographs of the urban development of Nagoya and its history, thus ranging from the past to the ideas for the future of the city. Walking for about 2 km to the south (or taking the Tokaido Main Line from Kanayama station to Atsuta station, 2 minutes) you can get to the most important Shinto shrine in the city, known as Atsuta Jingu. Along the way, more or less half way in front of the railroad tracks (1 km south of Kanayama station, 1 km north of Atsuta station), there is also a big shopping center called AEON Mall Atsuta. 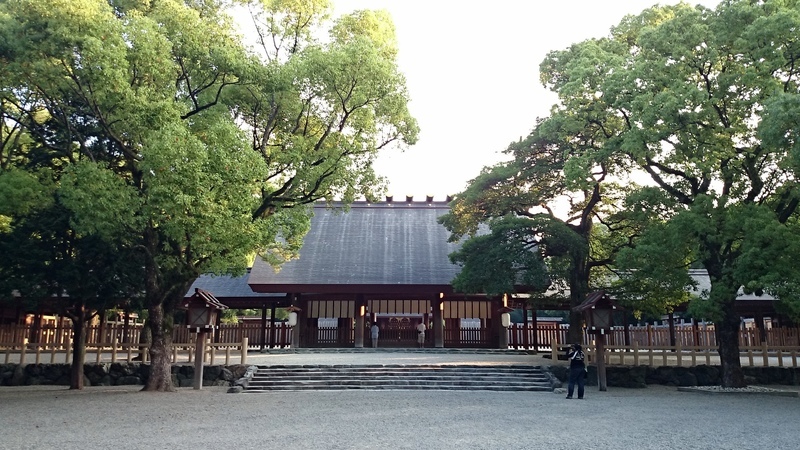 This shrine, as all major Shinto shrines, is located within a large park, a few meters west of the Atsuta station. It is assumed to have been founded around the year 100, and is therefore considered one of the oldest still existing Shinto shrines, although most of its buildings were destroyed during the last war and later rebuilt. Another reason that has made this shrine famous is the fact that inside is kept a sword (not exposed to the public) known in Japanese as Kusanagi (Kusanagi no Tsurugi), one of the three legendary Imperial Regalia of Japan. Inside the park there is also a large camphor tree (goshimboku) which is said to have been planted around 1000 years ago by Kūkai himself, and a small museum (Houmotsu-kan, 9-16:30, 300 yen) with various objects belonging to various shogun and members of the imperial families. 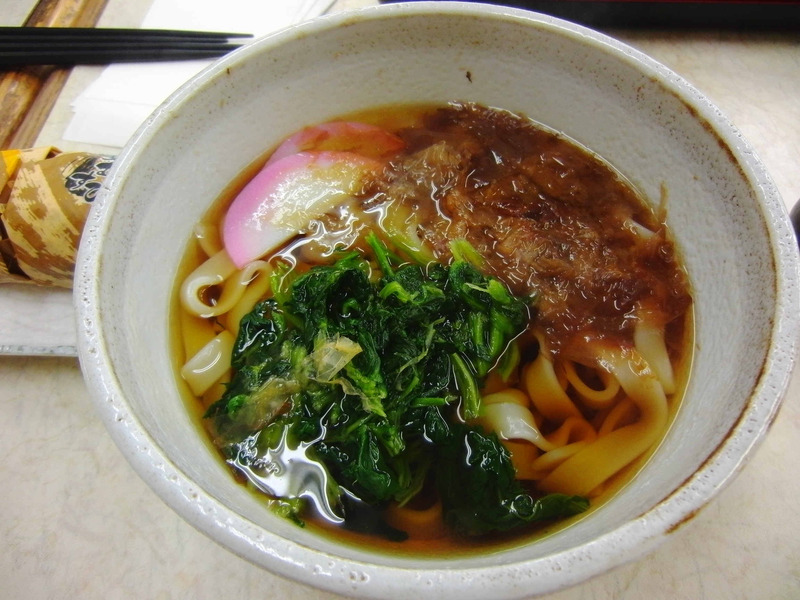 The most popular and most touristy attraction of the shrine is a restaurant among the most famous in the city for kishimen style udon (a typical dish of Nagoya), the name of the restaurant is Miya Kishimen. 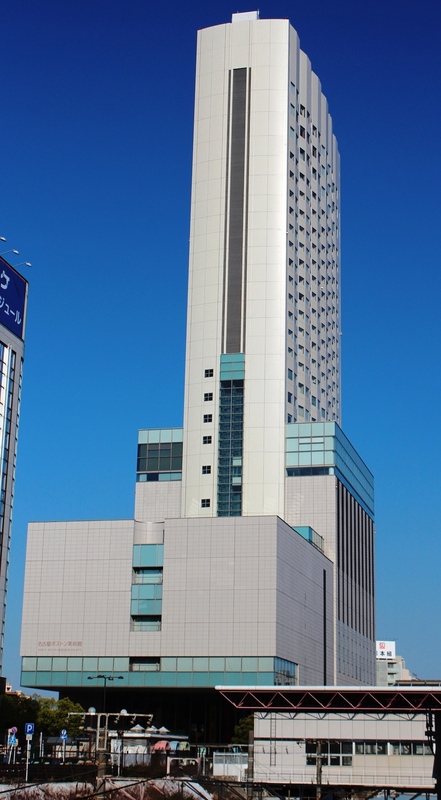 As mentioned in the guide, just in front of Kanayama station there is a skyscraper with a hotel, the ANA Crowne Plaza Hotel Grand Court Nagoya, upscale hotel and one of the alternatives with the best value for money if you are looking for a room on the upper floors with city views. North of Kanayama station there are two accommodations particularly recommended for those on a budget: the Capsule Inn Nagoya, a capsule hotel from 2980 yen per night, and the Kanayama Plaza Hotel, a business hotel with single rooms from 4500 yen per night. As already mentioned, Kanayama station is one of the most important railway stations of the city, of JR, of Meitetsu Railways and the municipal subway. Nagoya station can be reached in just 3/4 minutes with one of the two JR lines serving the station (Tōkaidō Main Line and Chūō Main Line). For other areas of the city you can use the subway lines instead, the Meijo line (without changes to Sakae, Meijo Koen) and the Meiko line (without changes to the harbour area). The lines of Meitetsu Railways serve various locations in the surrounding region, including Nagoya Airport (Centrair) which can be reached in just 24 minutes.